Preface. 1. Universal Suggestibility 2. The Subconscious Mind 3. Explanation of Hypnotism 4. 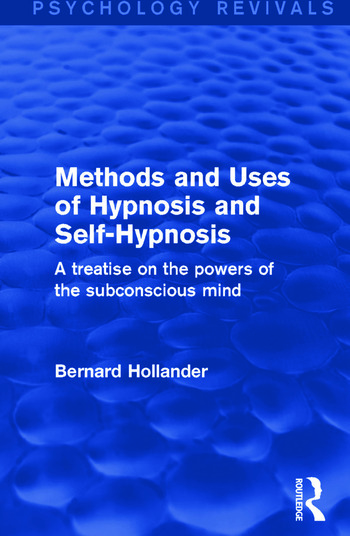 Methods of Hypnosis 5. The Application of Hypnotism to the Treatment of Bodily and Mental Disorders 6. Accentuation of the Senses Following Hypnosis 7. Exaltation of the Intellectual Powers in Hypnosis 8. Heightened Sensibility in Hypnosis, Emanations and the Human Aura 9. Supernormal Phenomena: Clairvoyance, Telepathy, Apparitions, Premonitions 10. The Objections to Hypnotic Treatment. Index.